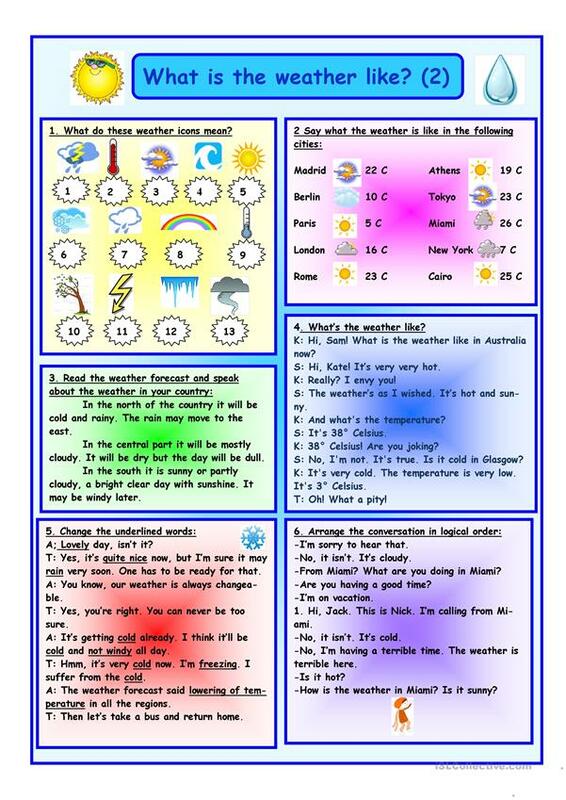 Six exercises about "Weather" is the second variant of work on this topic: explain weather icons, read the weather forecast, conversations with different tasks.Have a nice day! The present downloadable worksheet is a great resource for high school students and adults at Pre-intermediate (A2), Intermediate (B1) and Upper-intermediate (B2) level. It can be used for enhancing your pupils' Speaking and Reading skills. 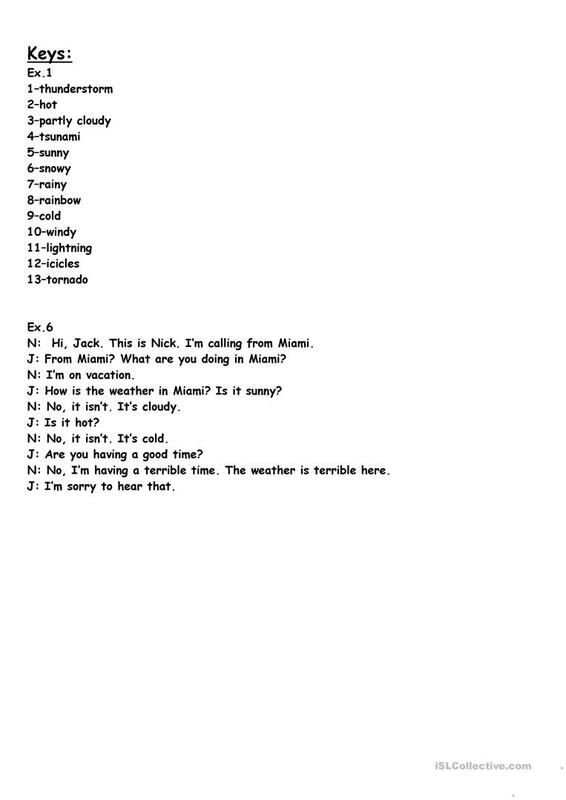 It focuses on the topic and words of Weather. The key is provided, too.